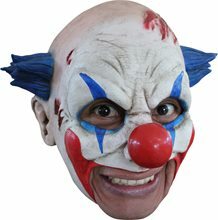 Dastardly Clown Adult Mask.Includes: One Dastardly Clown Adult Mask. Available Size: One Size Fits Most Adults. *Costume Not Included. Accessories Sold Separately. 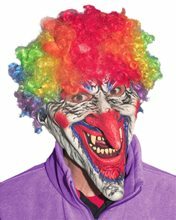 Features one Enlongated Clown Mask with Rainbow Clown Wig. One Size Standard. 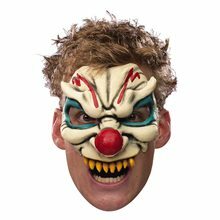 Scare your friends this Halloween in this Chinless Evil Clown Adult Vinyl Mask featuring scary yellow fangs, red nose and evil clown make-up on mask.Chinless Evil Clown Adult Vinyl Mask.Character/Theme - Circus.Product Includes - Vinyl Chinless Mask.Content - 100% Vinyl. 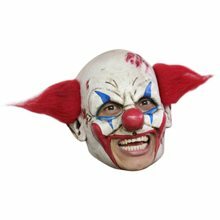 Chompo the Clown Adult Mask.Includes: One Chompo the Clown Adult Mask. Available Size: One Size Fits Most Adults and Teens. *Costume and Accessories Not Included. Sold Separately. Don 't worry kids, Chompo won't bite, he'll just gnaw your flesh to the bone! 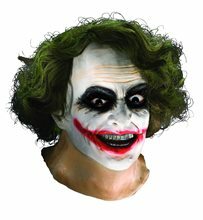 This full over the head latex mask features excellent detailing right down to every rotting tooth! Includes large bowtie. 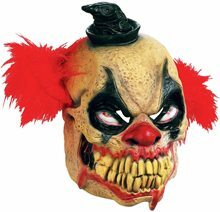 Cryptic Clown Adult Mask.Includes: One Cryptic Clown Adult Mask.Available Size: One Size Fits Most Adults and Teens. *Costume and Accessories Not Included. Sold Separately. Wrinkled Clown Mask Full over-the-head mask . Excellent quality and easy to wear. 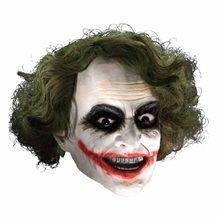 Mask alone is a costume! Life-like feel and realistic look! 100% latex construction. 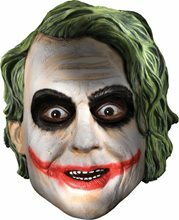 Mouth area of mask moves with you. When you open your mouth the mask mouth will open at the same time!. Comfortable fit. Overhead style mask. 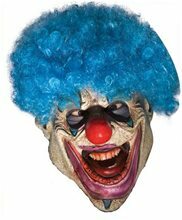 Evil Clown Foam Mask.Includes: One foam latex mask with attached wig.Available Size: One Size Fits Most Adults and Teens. *Costume and Accessories Not Included. Sold Separately. 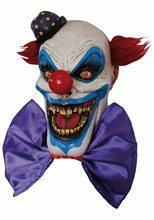 Complete your creepy circus costume with this Evil Clown Foam Mask! The perfect addition to your costume this Halloween.